While many engineers are trying to improve the effects of vaporization, Puffco team is always ahead of the game: Vaping with Puffco vapes creates great tasting vapor, as there is no smoke involved and no carbon released with the active compounds. Vapor produced from vaporizers for wax by Puffco is cleaner than from many other similar models for concentrates, and does not leave behind a burned smell or taste. Puffco Plus - has everything you need for vaping on the go. With this dab vaporizer pen, you don't have to worry about carrying around loading tools and accessories, because it features a tool built right into the mouthpiece! It is sleek, compact, with an efficient heating element and a 12-second heat up time. The material to be vaped has to be placed inside of the wax atomizer. The inside of the heating chamber gets hot, from a heating coil that is powered by an excellent battery. As the chamber of the wax pen's atomizer gets hot, it heats up the material. The material eventually reaches a temperature called its vaporization point. At this temperature, the active ingredients inside of it are turned into vapor. The gas from the substance, called vapor, builds up inside of the heating chamber. The user typically draws the vapor through the of vaporizer's mouthpiece. Puffco has always strived to create the best of the best when it comes to vapes for concentrates. With its recognition and reputation in the vape world, it has raised the bar once again with the Puffco Pro 2, which too delivers rich, clean tasting clouds thanks to its ultra large ceramic oven. Ceramic burns purely and efficiently, heating up your concentrates thoroughly and leaving no residue behind. The ceramic coil can hold up to .3 grams of concentrate, and at the bottom of the chamber, there is a ceramic rod wick that has been wrapped with a durable titanium coil. Getting into the vaporizer chamber is simple thanks to its snap-off mouthpiece that doesn't have any sort of 510 threading to get in the way. The mouthpiece on the Puffco Pro 2 wax pen also features a convenient splash-guard that stops concentrates from splashing up at you when you vape. The Puffco Pro 2 is also incredibly portable, measuring only 4.5 inches long and 0.5 inches in diameter. This allows it to fit perfectly in your hand as you stroll the streets. Lightweight and ultra compact, the exterior of the Puffco Pro 2 is made from durable stainless steel and the vape can easily fit into any pocket. In your hand it resembles a vape pen for e-liquid, so using it on the go is easy and worry-free. With its deep, efficient ceramic heating chamber, the Puffco Pro 2 vape pen uses its high quality battery to deliver flavorful and robust clouds. The battery has been increased in this 2nd genreation model with a huge step up from its predecessors as it allows you to vape for days on end, even on the highest temperature setting, with up to 100 uses per charge. Charging it, is simple with the USB charger that can be plugged in virtually anywhere, making the Puffco Pro 2 for wax even more portable. Once plugged in, your battery will be fully charged in only one hour. Wax vaporizers allow you to enjoy the benefits of waxy concentrates, however, many dab pens make enjoying the experience difficult because they are either too small or are unable to vaporize efficiently for long sessions. The Puffco Plus is the solution to the common problems with other vaporizer models for wax, and will change the way you vape for the better. If you are a serious dabber who needs a reliable dab pen to take on the go with you, the Puffco Plus is going to delight you. This ultra compact device features a unique coil-less design, a mouthpiece that does more than ever before, and advanced airflow that delivers a smooth vape every time. The Puffco Plus features an ultra smooth finish that not only feels great in your hand, but it can be swiftly slipped up your shirt sleeve or down into a pocket when you need to take it on the go. The 3-piece vape is simple to put together and looks absolutely seamless in action. The mouthpiece features a smooth contour that fits comfortably against the lips. Unlike most other vaporizer pens for wax, the Puffco Plus gives you the freedom to set the heating level at the optimal temperature for your needs. There are three heat settings for concentrates, and you can select the ideal one with just a click. LED light indicators allow you to see which heat level is selected. Although the battery on this dab vaporizer is compact, it's able to power through hours of use for continued on-the-go enjoyment. When it comes time to charge, just remove the bottom cap and connect the included USB charger. Not only does the mouthpiece of this incredible device feature a sleek and comfortable design, it boasts a few features which set it apart from other vapes. The Puffco Plus vape pen has what they have named "The Dart", which is located snugly inside of the mouthpiece itself for ultimate convenience and portability. This Dart is a loading tool made from a durable ceramic. 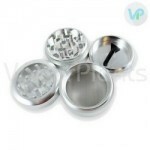 It also features a convection cap that minimizes splashing of the concentrates inside while effectively keeping the material in its rightful place. This handy ceramic loading tool built into the mouthpiece also eliminates the need for carrying around your own dab tool and makes loading simple and swift. Along with the dart inside of the mouthpiece comes some enhanced air flow technology that directs vapor away from the sealed conduction chamber and pushes it up toward the Dart convection cap. This prohibits clogging and delivers consistent and tasty vapor. The Puffco Plus vaporizer also features a unique coil-less design to give your vapor the maximum flavor and capacity for concentrates. 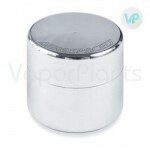 The ceramic cup atomizer distributes heat evenly and offers outstanding durability and simple cleaning. With this complete kit, you do not have to worry about tainted flavor thanks to its glue-free construction. The build quality on the Plus is outstanding, and feels really nice in hand. The added dart to scoop in your dabs is very helpful and convienient, and deletes the need to carry a dabbing tool. Its works best with smaller dabs on the middle blue setting imo, n The flavor is top notch! Perfect vape - Review by Jimmy R.
The Puffco Pro 2 vaporizer chamber is large enough where I can use it with myself or with a group of people. A wax vape that is really simple to use. This vaporizer is robust in size but is not bulky at all. In fact, it is the perfect size for hiding away in my palm when I take it out into public with me. The mouthpiece is really comfortable and ergonomic and does not take a lot to draw the vapor out. I definitely recommend the Puffco Pro 2 vaporizer to anyone who is wanting to get started dabbing and advanced users all the same. It is the perfect vaporizer for those who are curious about dabbing without a rig for the first time. Single button function - Review by Linda R.
The Puffco Plus impressed me from the moment that I took it out of the box. It is a really great price for what it can do and I love that it has truly been designed to be taken with me on the go. It has a button that is a single button functionality that is easy to use and doesn't require a lot of messing around with to get the hang of it. Built really well and does not feel like it is going to snap in my hand. The battery is great, too, and fits right into the mouthpiece to offer a streamlined look. Really sleek and modern - Review by Jeremiah K.
The Pro 2 vaporizer can lock and unlock which I find to be a really important thing when I am vaping. This is because I like to toss them in my pocket and I don't want the vape accidentally firing. I certainly don't have to worry about that with the Puffco vapes. This vaporizer is really sleek and modern looking and has the perfect level of weight to it so that it feels solid and well built but does not feel like it is going to weigh down my pockets. Pro 2 vape gives me great vapor production and a lot of vapor for the price--definitely more than I was expecting to get for what I paid for it. Incredible - Review by Vernon A. The Puffco Plus Vaporizer has a powerful battery and I can really tell. I don't have to worry about the vape dying on me in the middle of a session as it is always primed and ready to go. It is simple for me to charge when the time comes and only takes around an hour or so to do this. It has a super high quality atomizer that you can see working. The slim size makes the Plus vape more portable than I imagined and the single button operation is incredible. Great Value for the Buckk - Review by Ronnie H.
Very nice piece, can't go wrong for the amount spent on this Pro 2. Have been using it for 3 months already, about once a week, and no issues so far. This is my first wax pen, next I will get the Plus advanced. Easy to clean - Review by Wesley R.
It works well, gives off good amounts of vapor and is really easy to clean. Compact - Review by Jane H.
I love the unique shape of the Puffco Pro 2 vaporizer pen. It fits in my hand snugly and goes anywhere that I want to go. Lasts entire day - Review by Trinidad G.
The Puffco is awesome, but it is not without its flaws. It is a good idea to take care of this Puffco Pro vaporizer if you want it to last a long time and to work well. It also clogs easily if you put in too much material at a time. I also recommend that you do not lay the Puffco Pro on its side. The battery life is great, though, and charges fully in only an hour and then will last you for well over an entire day. It is much better than most pens in this price range. Amazing product - Review by Ollie C.
This is an amazing product. I have had the Puffco Plus for a while now and this is even better than I expected. The battery life is out of this world and it takes no time at all to charge. You will need to order some good Q-tips to clean it, but that is pretty standard. I recommend it to everyone. Clean taste - Review by Amy E.
The battery life is okay and the chambers only last for a month or so. The replacements are a little expensive so that is a disappointment. They give you two in a package, which is nice, but they still fail rather swiftly. I took mine apart after it broke down and discovered that it broke down because it wasn't assembled well inside. Other than these issues, it is a really great product. The loading system is great because of the dart. It has a nice clean taste and decent clouds with a low draw resistance. If the chambers were better, the Puffco vaporizer would be a 5 out of 5 vape. Best vaporizer for wax - Review by Andrew P.
The Puffco Plus is the best vaporizer that I have ever used. I love how simple it is to maintain and clean it. It charged in less than 30 minutes when I plugged it into a wall outlet. The warranty on the unit and the chamber is exceptional and gives me peace of mind. It appears that if you keep it upright and don't overfill it, it will work for a long time. I recommend it to beginners because of the dart. Great flavor - Review by Leslie B. The Puffco Plus is awesome and I have a lot of different vaporizers to compare it to. The only thing that I will say is that it has an only okay battery life. The Puffco Plus does offer great flavor and it is super discreet to use. Great sesh modeKerri D. - Review by Kerri D.
The Puffco Plus is definitely a win. I like to use the 12 second continuous heating situation that they call sesh mode which is in my opinion the best way to use the pen. It works great and the only thing I don't like about it is the air path and the draw resistance. Other than that, it is great stuff. Awesome dab pen - Review by Peggy F.
The Puffco Plus is an awesome dab pen and is definitely a winner. I love showing it off. It is truly amazing and operates well. It is the best pen I have used. Dense clouds - Review by Lorretta C.
The ceramic atomizers really change the game in terms of vaping power and flavor. Even with its dense clouds, excellent potency and good flavor, you can't smell the herb really when vaping it. That paired with its sleek and slender design makes the PuffCo Plus a great vape to take with me on the go. Easy to maintaine - Review by Rosa W.
I have had the PuffCo Plus, and it still hits the same as it did the day I took it out of the box, because I have kept it cleaned and otherwise well maintained. Odorless - Review by Aaron M.
PuffCo Pro 2 does not have a lot of scent to it. Great wax vape - Review by Albert R.
The sleek design of the PuffCo Plus is a plus; it looks just as great as it vapes. Discreet - Review by Laura M.
This PuffCo Pro 2 provides a comfortable amount of vapor that doesn't draw attention. Easy to carry - Review by Francisco R.
The PuffCo Pro 2 is not only built in such a way that it is easy to hold and easy to carry around, but the actual vapor itself is nice and discreet as well. PuffCo Plus allows me to taste the entire flavor profile of the wax instead of tasting weird plastic or something similar like a lot of other wax vaporizers seem to. The vapor density doesn't even go away on the higher temperature settings, which is something that I find to be impressive as other vapes for wax don't give me nice vapor at higher settings. Ultra discreet - Review by Maura J. If you are looking for something that is ultra discreet and can go wherever you go, this is it. Great for beginners - Review by Susan W.
I think that the PuffCo Pro 2 is great for beginners because it is simple to use right out of the box. It is made with adventure in mind because of its really sturdy build. It feels solid in my hand and does not leave me with the impression that it is going to fall and shatter if I drop it by accident. The chamber inside is great and it holds the perfect amount of material inside of it. I have never once had to worry that it was using up my material faster than I could vape it. Excellent flavor - Review by Rayford M.
The ceramic bowl of the PuffCo Plus really gives it excellent flavor. Flavorful - Review by Joann A. Though it is so flavorful and offers such clouds, it does not give off too much of a smell, so that is great for when I want to take it with me on the go. Smooth vapor - Review by Anne W.
It doesn't burn my throat and is surprisingly smooth and crisp. Skinny modern style - Review by Barry K.
Plus by Puffco offers really great flavor without producing a lot of smell so that I still get what I love about my at-home vaporizer without having to worry about people detecting me on the go. I also think that it looks a lot like a standard electronic cigarette with its skinny modern style so I don't worry about people thinking I am vaping wax. I love the battery life as well. It seems to last forever so I don't feel the need to carry around the charger with me all of the time. Incredibly tasting vapor - Review by Ronald M.
I love that Puffco is so easy and comfortable to hold and does not feel awkward whatsoever. This Pro 2 pen is productive and offers not only a lot of vapor, but incredibly tasting vapor as well. PuffCo Plus changed my mind - Review by Alyssa R.
I never really got on well with vape pens designed for wax and concentrates, but the PuffCo Plus changed my mind. Sesh mode! - Review by Ronald E.
I have only gotten PuffCo Plus about two weeks ago, but I have used it every single day since picking it up. It is great with its three different heat settings as I can choose how I want to vape with the PuffCo Plus. This vaporizer is great for those who are new to vaping their wax and those who are accustomed to it all the same. It has a sesh mode that really allows for a great hit in ten seconds but it kind of drains the battery which is the only complain that I have. Overall, though, it is a truly remarkable pen. Performs well - Review by Edward C.
I have used many other vaporizers before but none of them seem to be able to perform quite like the PuffCo Plus. Deep ceramic chamber - Review by Ruth B. The PuffCo Pro 2 comes with a really deep ceramic chamber that I love. It holds all of my material with great ease and does not waste any of it. Powerful and discreet - Review by Douglas T.
It is powerful and discreet, two of the best things I could look for in a portable vape pen. Comfortable to hold - Review by Amber J.
PuffCo Pro 2 has nice smooth bends that make it comfortable to hold when traveling with and does not feel strange in my hand. It is not only good looking but it hits really well also. It is a well-made pen from inside to outside, and I love the size of the chamber inside. It holds just enough of my material to get me through a session and does not waste any of it. Durable - Review by Ana R.
Pro 2 vaorizer is really durable and well built, while also being sleek and stylish. PuffCo Plus has a great chamber and can last for months without needing to change it if you take proper care of it. Wonderful - Review by Bobby E.
PuffCo Plus is not only wonderful to hold in the hand but it hits really well as well. Stylish and modern - Review by Mario J. These wax vaporizers are super stylish and modern looking. Sleek and slender - Review by Catherine E.
The PuffCo Plus is really sleek and slender and reminds me of a high tech e-cigarette, which is great for when I want to take it on the go and have it be discreet. Great craftsmanship - Review by Ruth V.
The PuffCo Pro 2 is made with great craftsmanship. Powerful punch - Review by Lisa P.
Pro 2 packs a powerful punch that I will not be giving up any time soon. I recommend this to beginners and advanced users alike. Up to date features - Review by Brian V.
PuffCo vapes has truly up to date features that make it great for its already low price. I am inspired to avoid smoking my herb ever again after using this unique vape for wax. It is really compact and simple to learn how to use which is important to me as I don't want to spend too much time using a vaporizer inefficiently. 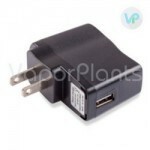 The best vaporizers - Review by Donald J. The PuffCo Pro 2 is one of the best vaporizers that I have ever used. Great little vape pen for when traveling. This Puffco Plus Vape Pen is very small and stealthy, looks exactly as an e cigarette. This is ideal for wax and concentrated oils, easy to lead and use - its a convection vape and does the job. All of the Reviews of this Dab Pen are Correct - Review by Steven F.
Definitely one of the best out of all the dab or wax pens, I or any of my friends have ever owned. Large atomizer, easy to clean and incredibly durable, plus it looks awesome. Love (3) multiple heat settings for different oil thickness. Never had a single problem with this vaporizer pen over the last 5 months. Can go on and on about this vaporizer as I definitely can't say enough great things about this portable unit!